Weezerton Periscope User Stats This is Weezertons periscope stats website page. This is Weezertons periscope stats website page. Weezerton created profile on 2016-01-10 Time 07:10:55 and last update profile time is . Weezerton total followers is 124 and Weezerton total following is 53 . Weezerton twitter nickname is weez_erton. 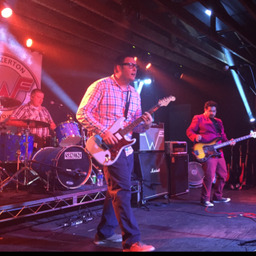 Weezerton is We are a Weezer Tribute band based out of Southwest Arizona. #WeezertonAZ The Weez is back in town! Karaoke at the Palms RV Resort! On my way to Phoenix come hang! Old people #Karaoke with the #Weez! So... @theDadband tonight? I'll sing in a bit. So... will @thedadband stream tonight? I'm taking bets. Also KARAOKE!! !